​In 2010 the PA Liquor Control Board transferred design and drafting services from PLCB staff to Hammel Associates Architects. Because a large amount of work had already been done by the staff to create standardization within the state-run stores, we used those designs as the base prototype and created changes and renovations only as needed to improve the retail shopping experience for customers and generate more sales for each facility. 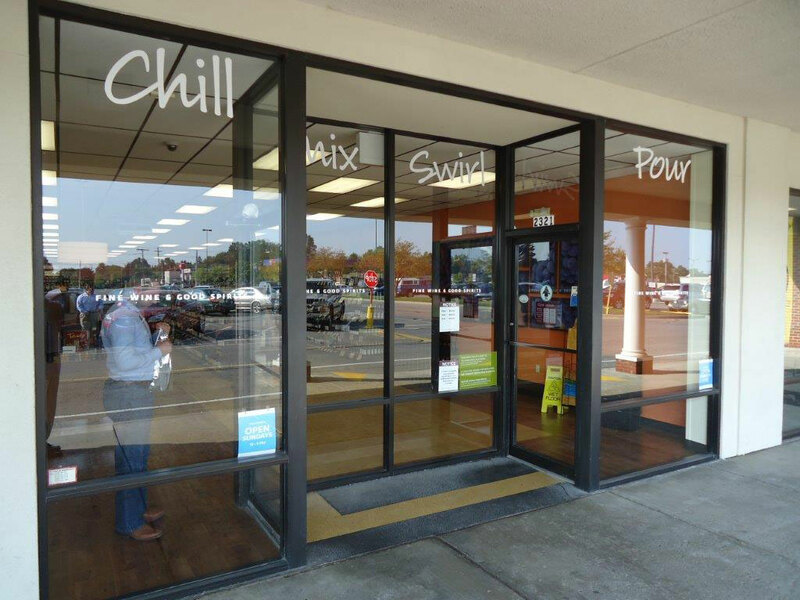 The prototype entrance to stores now includes larger amounts of glass so passersby can see into the stores, attracting them to come inside. Fun drink-related messages are painted on the glass in a cheerful font to convey the socialization that goes with enjoyment of wines and spirits. 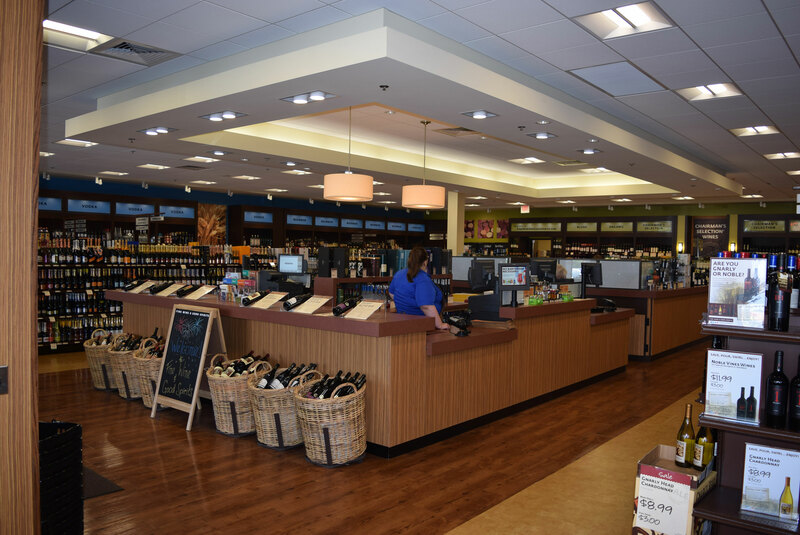 Aisles are enlarged to make it easier for customers to browse, read labels, and select wines. 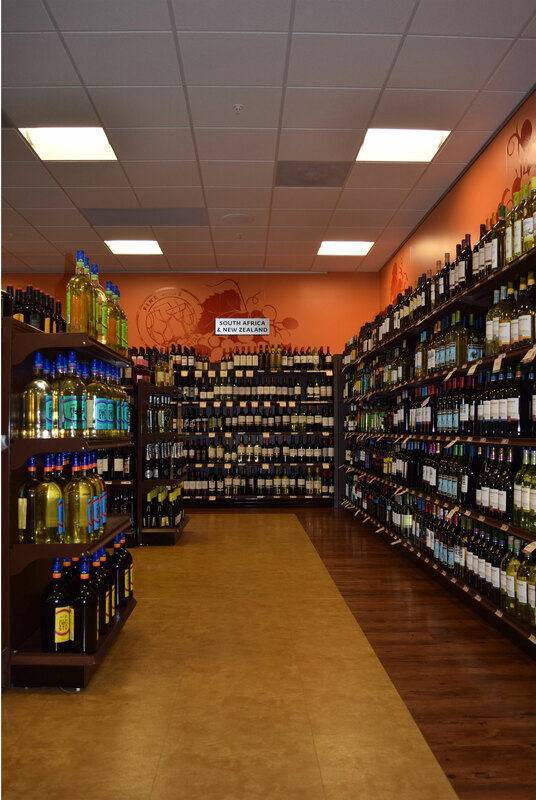 Store displays are arranged to provide the largest selections and varieties possible in each store. Color schemes reflect the earthiness of soil and vegetation associated with the wine industry. Upward focused lighting draws the eye to the graphics on the walls and adds an artistic flair to the functionality of the shopping experience. 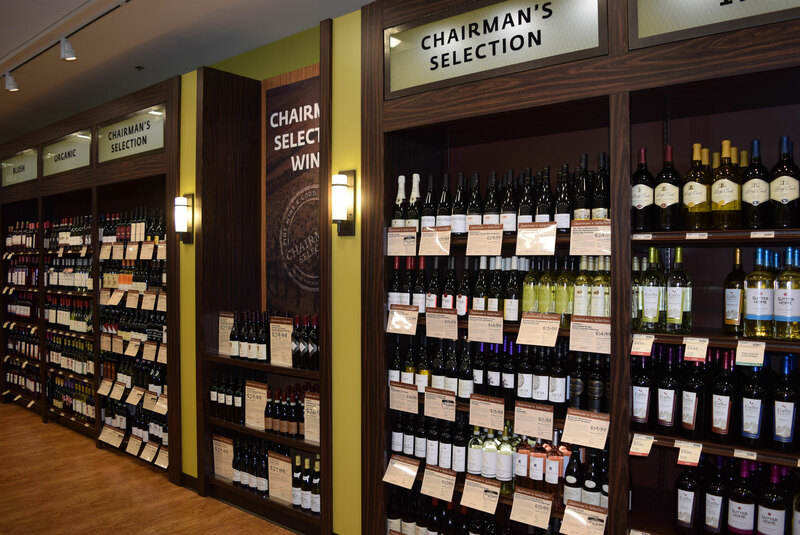 For serious wine aficionados and connoisseurs stores now have a featured wine area where shelves are lower, tags provide more detailed information about each product, and lighting is positioned to call attention to these specific areas of the store for specialty wine shoppers.